On the surface, Hempstead looks like a typical Midwestern small town, a postcard of white-fenced American normalcy. But glance past the manicured lawns and into the windows of the offices, church basements, and fancy houses, and you’ll find the people of the cannabis culture underground. Some are dealers, and some wear suits and ties to pay for their green lifestyle. But one of them is about to make their entire world go up in smoke. Attending nine different schools before graduating high school, Mara K. Eton was able to experience the cultures and histories of several different states as well as the country of Spain. It was her time spent in Madrid that fostered her love of art, history, and the ability to tell a good story. Due to her mother teaching her to read at age 4, Mara became obsessed with books. By age 8, Mara started writing down her own stories and continued to read avidly. When Mara won the Lt. Governor's award for best essay in 5th grade, she figured she was on to something with writing her stories down. Mara now spends most of her time in the Southeastern United States. All Indie Magazine: Tell me about your book. What inspired you to write and publish your own book? Mara: The Hypocrites started out as a short story, Cracked Eggs, which is ultimately the first story in the book. The inspiration came from a commercial I saw on television back in 2008 for a product called the Roll N Grow. Who in the world would buy it besides my mom? That got the ball rolling. When I finished Cracked Eggs, I wanted to know more about the characters mentioned and what would happen if they were put into a potentially disastrous situation. I also got tired of trying to find cannabis fiction that spun the issue in a somewhat positive light and didn’t resort to the usual stereotypes you come across when you read about this issue. All Indie Magazine: Can you tell us more about the premise of your book? Why would someone be interested in reading The Hypocrites? 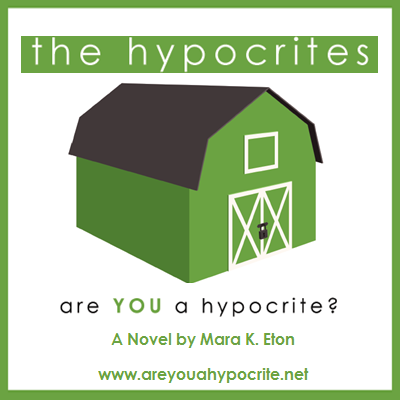 Mara: The Hypocrites is not a standard novel. It’s seven short stories comprising one main story told from the points of view of seven characters involved. Sean is a woman who is pretty numbed out and is uncertain about her involvement with Jody. She seeks attention from another guy named Sam and when things don’t work out in his favor, he starts a chain of events that impacts a lot more people than just Sean and Jody. Everyone in the book is connected to each other by cannabis. By the end of the book, the reader will realize just how interconnected all these people really were. Whether you consume cannabis or not, The Hypocrites is a story about relationships and the connection to people in one’s life. It’s pretty common nowadays to have bad romantic experiences, worries about the future, strained relations amongst family members, and frustration about a job. Those are universally relatable subjects. If you’ve had those experiences, you may enjoy reading my book. All Indie Magazine: From what you've experienced and witnessed, is the cannabis culture more common than people are willing to admit? Mara: Absolutely. The culture is definitely moving out from the underground. But every city I’ve ever visited has a different feel about it. In LA, it’s common place and no big deal. Minneapolis is relaxed about it but it’s not openly advertised. Same in NYC. I mean, you can have some herb delivered to you like a pizza. In the South, it’s like a secret and no one really talks openly about it unless they’re in like minded company. But with the recent influx of articles in mainstream media about legalization and its medical benefits, I like to think people are taking the blinders off their eyes about it. From what I’ve read, most people in the U.S. favor legalization. That’s huge. We’re dealing with a very different landscape with this issue than we were as little as 5 years ago. All Indie Magazine: Today, there are 22 states in the US that have legalized marijuana, but for the most part it's still kept as a "dirty secret". In your personal opinion, why do you think there is such a disparity in the cannabis culture between the mid-west and larger metropolitan areas? Mara: I spent 11 years living in the Midwest and it is definitely a conservative stomping ground. That’s pretty much why I set The Hypocrites in a fictional Kansas town. I believe it’s a generational thing. For years, the younger set has flocked to cities where the attitudes are different. Access to technology provides us with more information than we’ve ever had access to in the past. It’s a matter of educating yourself. Legalization itself is such a gray word. The phrase “legalization in 22 states” means something different to those who are well versed in the issue and those who are just learning about it. In my opinion, only two states have true legalization, Colorado and Washington. Medical legalization, while it’s turning the tide, is in itself rather restrictive. Some states, like Minnesota, only allow it in non-smokable form. I feel encouraged by the progress made in States allowing access to people who really need it medicinally. However, isn’t it rather hypocritical not to also legalize it for responsible recreational use? Can’t have one without the other. But the real stigma attached to the legalization issue is with the re-scheduling of cannabis. As long as it’s still on the Schedule I list on a federal level, there is a still a lot of work to be done. Cannabis legalization has turned into a political issue instead of a health issue. 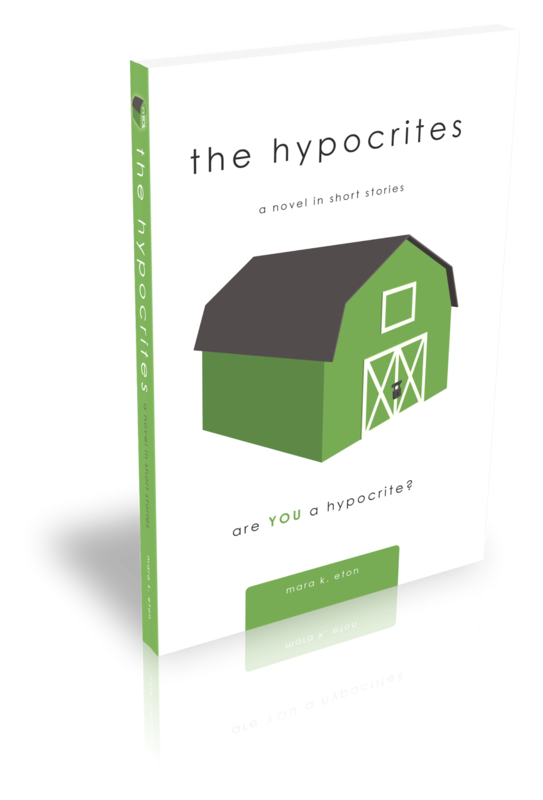 All Indie Magazine: What is the reason behind the title The Hypocrites? Mara: For me, I felt it said how I feel about people who can’t live out in the open with their cannabis use, whether it’s for a legit medical reason or for recreational use. I’ve encountered a lot of people like that. They keep quiet or say one thing against their use and that pretty much makes them a hypocrite. In this particular situation, being a hypocrite is necessary if you don’t want to essentially have your life ruined by the threat of incarceration. Most people who imbibe are not violent people. Any legal entanglements due to possession and cultivation leave a mark on a person making it hard to rebuild their life. The fear of going through that makes hypocrites out of people in the cannabis community. So they end up living double lives, no matter how successful and “normal” they appear to others. All Indie Magazine: Is this your first published book? Mara: Yes. But hopefully not the last. All Indie Magazine: Is The Hypocrites and your 5th grade essay have any connection? Mara: Not in a direct or obvious way. I didn’t know much about cannabis when I was 10, outside of what was being pushed at me via the Just Say No campaign. The essay was about a phone call my mother took about a motorcycle accident my uncle had. I was a pretty quiet kid and most adults didn’t notice me around. I remember sitting on a foot stool in the kitchen on the side of the stove when my mother was on the phone. She had no idea I was there and what my perception was until she read the essay a few months later. My uncle involved in the accident survived and went on to live a very successful life: the wife and kids, the house, a master’s degree, etc. While cannabis was not involved in the accident (he was hit by a car), he is not out in the open beyond a few family members about his regular cannabis use. It’s kind of a joke amongst the family. But at the same time, he has the least amount of drama in his life. He is very knowledgeable about the subject of cannabis and my least uptight family member. I tried to use those elements about him in some of my characters in The Hypocrites. All Indie Magazine: Who are some of your favorite authors and did these these authors inspire you to want to become a writer? Mara: My short list of favorite writers, or Top 5, is J.D. Salinger, George Singleton, Charles Bukowski, Chuck Palahniuk, and Flannery O’Connor. All of them have been strong influences in some way or another. I came across all them at impressionable ages in my time. Yeah, they were definitely inspiring in my decision to become a writer. All Indie Magazine: What is your favorite book and what are you reading right now? Mara: I’m officially a nerd for The Catcher in the Rye by J.D. Salinger. A friend told me to read it when I was 13 and just starting high school. I don’t get all super into it like some have but I just enjoy reading it. I read it every couple of years and I always dig it. I’m currently reading the new collection of short stories by George Singleton, Between Wrecks. It’s pretty solid. All Indie Magazine: Do you plan on a national book signing tour? Mara: Not at this time. I hope to in the future but nothing immediate has been planned. All Indie Magazine: What is in store for you in the coming future? Mara: I’ve started work on a follow up to The Hypocrites because I just can’t seem to leave those characters alone. Characters in the first book who didn’t narrate their own experience will have their say in the follow up about what’s going on with them now. I’m also outlining another novel unrelated to The Hypocrites.